The Peninsula is the Bay Area’s thoroughfare between San Francisco and Silicon Valley. Affluent communities, exciting culture, beautiful landscape and innovative companies make up this stretch of the Bay Area. One of these places is Redwood City. Home to companies such as Oracle and Electronic Arts, Redwood City is on the map as both a destination in the network of Silicon Valley communities of innovation and a beautiful enclave on the Peninsula. A number of innovative technology companies call Redwood City home with the aforementioned Oracle and Electronic Arts as the larges and most influential. Redwood City is also home an incredible network of beautiful parks such as Hoover Park, Marlin Park, Dolphin Park, Red Morton Community Park and Sandpiper Park to name only a few. These outdoor public places imbue Redwood City with a Bay Area charm that no visitors nor longtime residents will be disappointed with. 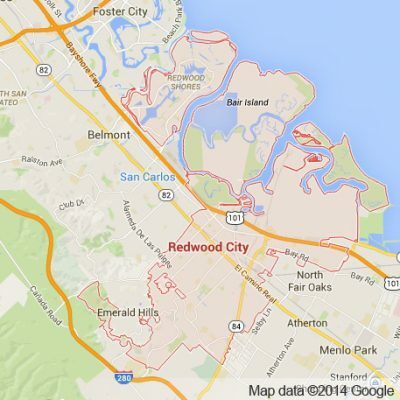 Apex Limousine Transportation is proud to be the number one limousine, SUV, and sedan provider in Redwood City. Our limo company provides a wide range of limousine services to both residents and visitors alike. For starters we specialize in wedding services. We work directly with families, wedding planners and/or couples to make every wedding day as special as it can be. Our limousine fleet can accommodate weddings no matter what the size or scope. Here at Apex Transportation we are also a favorite among parents and students in Redwood City. The reason is that we take entertainment and safety both very seriously. For junior prom and senior ball we guarantee that every student will make it home on time and safe and will have had the time of their life. For those who need to be picked up or dropped off at one of the major Bay Area aiports – SFO, OAK or SJC, we offers full airport sedan transfers. Our professional and timely limousine drivers ensure prompt pick ups and drop offs so you will never miss a flight. If you are visiting the Bay Area and want to explore the aforementioned destinations waiting in Redwood City our knowledgeable limo drivers will show you this enclave on the Peninsula in style and luxury. Another one of our specialties are our Napa Valley Wine Tours. A favorite among locals in Redwood City, our Napa Valley Wine Tours are elegant and exquisite. We pick you up in Redwood City and make the drive to the Napa Valley just North of the Bay Area proper. Once there we spend all day going from winery to winery (as many or as few as you desire) to taste delectable world class wines. We work with you to decide which wineries you want to explore. Our rich knowledge of both wine and the Napa Valley allow us to help you customize a trip that fits all of your personal desires and tastes. After the wineries we can top off the day with a trip to one of Napa Valley’s many restaurants where you and your party can taste delicious, fresh, Northern California cuisine. At Apex Limousine Transportation we take what we do seriously. Our commitment to making your experience as memorable as possible is our number one priority. We take every single ride, no matter how short or long, as seriously as the one before. When riding with Apex Transportation you are doing much more than going from point A to point B – you are having an experience. So call us today and together we can help make your next trip with us the time of your life. Please call us for car service all inclusive total for Redwood City to/from Napa Valley transfer.